Bill Belew has raised 2 bi-cultural kids, now 34 and 30. And he and his wife are now parenting a 3rd, Mia, who is 8. America is the land of immigrants. It is one 0f the great things about this country. People from all over the world came to America centuries ago and settled down in hopes of having a better life, and brought along with them their culture and their foods. The “American Dream” is what everyone came looking for. It is because of that, America is a country full of immigrants who now call America home. 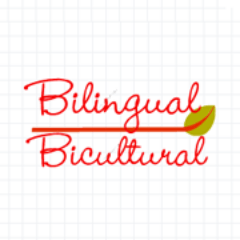 So many people raise Bilingual and Bi-Cultural children here now. I was a little late in my “migration” to America but it is now my home too. I moved to the Bay Area around two and a half years ago. It took me a while to learn to adjust to life here. I started writing about my experiences here in hopes of helping out other immigrants like me. I love life here, but it did take some adjustment from my end. India is known to be a country with many local languages, dialects and different religions. My husband comes from the southern part of India and his family speaks a language which is completely alien to me. So as strange as it might sound to an American, me and my husband speak 2 completely different languages and we do not understand each others’ language, even though we are both Indian. I don’t have children yet but I do wonder what language they would be speaking. It is hard to teach them two local dialects plus Hindi (which is the national language of India) and of course English! Being Bilingual from India does have its challenges. It isn’t impossible, it is just hard when you are living so far away from India. I always worry about what Indian language my children will speak. Now that they will be living in America, I also want them to learn Spanish 😀 I guess that’s way too many languages for a child to pick up. On top of the language struggle, second generation Indian children always have the “Race vs Culture” struggle. Racially they are Indian but because they will be growing up in America, culturally they won’t be Indian. I have seen that struggle in my friends children who were born and raised here. I guess it is a matter of priorities. It is really up to the child to be true to their roots and still embrace life here and live it to the fullest. We are living in such a diverse world today, that nothing would make me happier to have a child that not only embraces where he belongs but also respects everyone’s religion/culture/language. Talk to Bill and others about their experiences raising bi-cultural Japanese-American kids.